How to measure the range of a sub-1GHZ radio on the field, without a bulky and costly equipment? 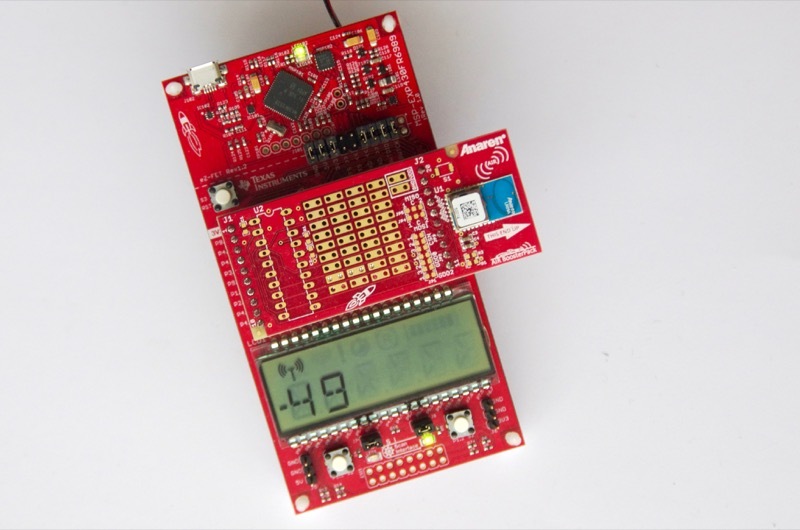 One the latest LaunchPad based on the MSP430FR4133 features a 6-digit 14-segment LCD display and 2 buttons. This is the perfect solution for a light and autonomous on-the-field measurement tool! The result looks like a sandwich, with the Fuel Tank, the LaunchPad and the CC100L stacked on. Because the SPI port for the sub-1GHz radio and the I²C to the battery monitor share the same pins, data from the BQ27520-G4 System-Side Impedance Track™ Fuel Gauge isn't used. AIR430BoostEuropeETSI or AIR430BoostUSAFCC for the sub-1GHZ radio. The button PUSH1 toggles between Link Quality and RSSI measures. Each measure comes with a different symbol displayed on the LCD. ​Of course, the project was developed with embedXcode, embedded computing Xcode. I really appreciate the LaunchPad MSP430FR4133 with its large and highly-contrasted LCD, the 2 buttons, as well as its low power requirements. 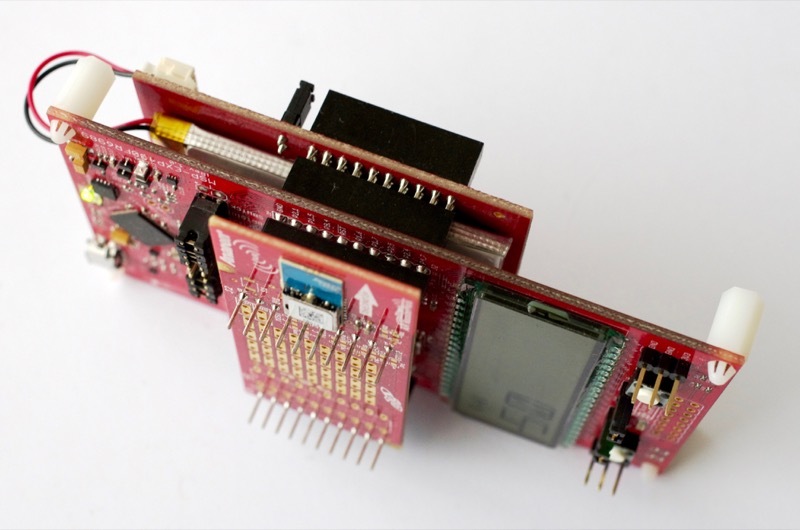 This circuit is flexible enough to allow any kind of measure, by just changing the BoosterPack or even designing a custom circuit based on the specific sensor. ​For example, the INA219 measures volts, amps and watts with one single component. 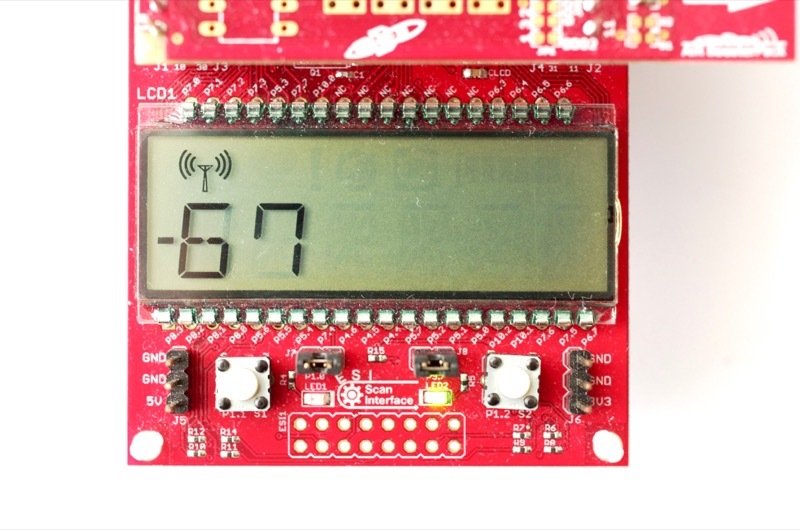 Should more pins be needed, the MSP430FR6989 LaunchPad comes with 128 KB of Flash and a connector for 40-pin BoosterPacks. ​The two buttons give plenty of options for selecting the measure and the range.